The terms Cannabis and marijuana are often used interchangeably. However, marijuana is only a variety of one of three species of the plant genius Cannabis. In this article we will concern ourselves only with the species Cannabis sativa and two varieties of this species called marijuana and hemp. While marijuana is known for its psychoactive ingredient THC (tetrahydrocannabinol), hemp is known for its non-psychoactive ingredient CBD (cannabidiol). Both THC and CBD are called cannabinoids. There is increasing interest in the health benefits of the cannabinoid called cannabidiol (CBD). Cannabinoids are chemical compounds that affect nearly everything that goes on in the body and appear to be especially important to the regulation of appetite, pain, inflammation, mood and memory. Their overall function appears to be maintaining what is called homeostasis or balance throughout the body. While most cannabinoids are obtained from plants, the body makes some of its own from dietary fats and some are synthetically produced in laboratories for use as drugs. Hemp is a variety of the species Cannabis sativa that is generally high in CBD and has very little if any THC. CBD is the second most abundant cannabinoid found in Cannabis. CBD is generally extracted from hemp oil. Both CBD and THC interact with our body’s cannabinoid receptors. Our body’s have what is called an Endocannabinoid System (ECS). This system has always been there but was only recently discovered when researchers identified how the body uses the cannabinoids found in Cannabis. This discovery led to the word cannabinoid being used in the naming of this system. This system is found in the brain, the central and peripheral nervous systems, the immune system and other body systems, glands and tissues. ECS has receptor sites on cells that take up cannabinoids which are then used by the body in a variety of ways. The ECS has two kinds of receptors that have been identified. Receptor CB1 is primarily located in the brain, nervous system, connective tissues, and various glands in the body. Receptor CB2 is primarily found in the immune system, especially the spleen where immune cells are created. Receptor CB2 is also found in the gastrointestinal system. Research indicates that when the endocannabinoid system isn’t working like it should, the body is more susceptible to degenerative disease. Stress appears to be a major dynamic in reduced endocannabinoid activity. How does CBD from hemp oil help the endocannabinoid system to work better? CBD does not have great ability to bind with the CB1 and CB2 receptors. What it has been found to do is to keep the receptors working at a more optimal level and in so doing, helps the function of all other cannabinoids, including the ones our own body makes. It has also been found that CBD works independently of ECS receptors. As stated above, both marijuana and hemp are varieties of the species of the plant genius Cannabis called Cannabis sativa. As is true of most plants, species mutate into different varieties of their species either on their own or are made to do so by breeders. These varieties will differ as to their chemical makeup. The varieties marijuana and hemp have been bred into many sub-varieties. There are literally thousands of sub-varieties of marijuana. 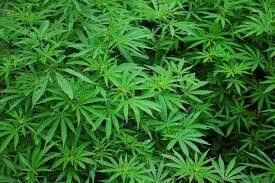 Breeders have bred different sub-varieties of marijuana in an attempt to produce high amounts of THC in order to provide for a strong psychoactive effect. The variety of Cannabis sativa called hemp has also been bred into sub- varieties and is generally high in CBD while having virtually no THC. CBD has no psychoactive effect. The growing, harvesting and distribution of the species Cannabis sativa or any variety of this species that has measurable THC content remains illegal in most US states. However, the growing, harvesting and distribution of the variety of Cannabis sativa called hemp is not illegal because hemp does not have measurable THC content. Therefore it will not produce psychoactive effects as does marijuana. Plus, the hemp plant, because of its fiber content, is used to produce rope, clothing, wax, animal feed and various other items. Hemp seed is a good source of protein and important fatty acids. At Milk ‘N Honey, we have sold hemp seed as a nutritional supplement for years. The research and experience to date with CBD shows that supplementation with this cannabinoid has a calming effect on the body and provides relief from stress. There has been some remarkable success in using CBD to reduce and eliminate convulsions as in epileptic seizures. This was documented on a recent segment of NBC national news. There is ongoing research as to the effectiveness of CBD in dealing with inflammation, digestives issues, skin problems, cardiovascular disease, cancer and other health problems. In a study published in the December 12, 2110 Journal of the American College of Cardiology, CBD was shown to alleviate myocardial dysfunction, cardiac fibrosis, oxidative stress and inflammation associated with diabetic cardiomyopathy. In a study published in 2011 by the British Society of Cardiovascular Research, CBD was shown to be anti-arrhythmic and tissue sparing in coronary artery occlusion (partial or complete obstruction of blood flow in a coronary artery). In a study reported in the July 2010 edition of the British Journal of Pharmacology, CBD was shown to reduce both the total number of ischemic (restricted blood flow) induced arrhythmias and the degree of myocardial infarction (heart attack) when administered prior to an ischemic episode. A study published in the British Journal of Pharmacology in 2012 revealed that CBD inhibits angiogenesis by multiple mechanisms. Angiogenesis is the ability of cancer cells to grow new blood vessels to supply themselves with nutrients. In the January 2013 edition of this same journal, it was reported that CBD significantly inhibited prostate cancer cell viability. In a study reported in a March 2016 edition of the publication Current Oncology, it was shown that the viability and invasiveness of neuroblastoma cancerous tumor cells was reduced when treated with CBD. For detail on the above studies and information on other studies using CBD, go to https://www.projectcbd.org/heart-disease and https://www.projectcbd.org/cancer. At Milk ‘N Honey we carry a CBD product where CBD is extracted from organically grown hemp oil. It is infused into olive oil which acts as a carrier of the CBD. We carry one fluid ounce jars which contain 150 milligrams of CBD and two fluid ounce jars which contain 600 milligrams of CBD. Higher potency's are also available. This product is consumed by pump spraying the CBD oil under the tongue.